“Local food” is big business on the North Shore. A 2014 report by Salem State University found that, between 2009 and 2014, the local food sector was the fastest growing business cluster on the North Shore. The region is filled with an exceptional number of wonderful restaurants, active Farmer Markets in and over 1000 businesses that work in or support this growing sector. 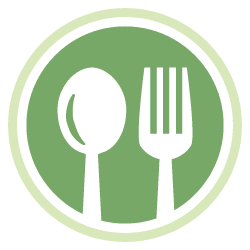 The Enterprise Center has been committed to working with the local food sector since 2012, and offers a series of workshops on Local Food every year, as well as networking events and meetings. 2011 Competition Winner: Notch Session Ale, renamed NOTCH BREWING, American Session Beer, Salem MA. (www.notchbrewing.com). Notch Brewing capitalizes on the popularity of craft beers by introducing a lower-alcohol beer that British pubs call ‘session ale’ because people can enjoy a longer socializing “session” without becoming inebriated. 2015 Competition Winner: Far from the Tree Cider located in Salem, MA (farfromthetreecider.com). Far From The Tree’s cider bears no resemblance to large mass produced hard ciders. It is not super sweet, but rather dry and refreshing with light carbonation, and tastes deliciously of apples. That’s because the first ingredient in each of the company’s three current varieties is, in fact, pressed apples. Far From The Tree originally started with three varieties of its dry ciders: Roots, Rind and Sprig but now offers dozens of new ciders.